Having the best hunting knives in one’s collection is probably the smartest move that a recreational or serious hunter can do; and if you were ever in a situation that needs you to have an efficient knife on hand, will you be prepared? Moments such as having to clean out some fish or cutting rope will require you to have an efficient blade on hand since these are the usual situations that occur when hunting. 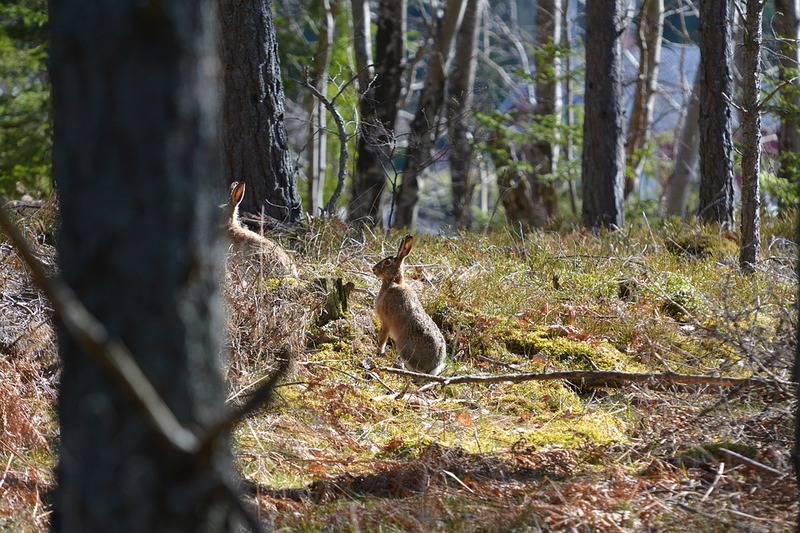 Hunting has become a very popular activity that attracts a large number of people each year, and we’re talking about people from all over the world. If not as an activity, hunting is also necessary for your survival and having a durable, well-made, and highly efficient hunting knife is vital. If you’re unsure of what hunting knife to look for, remember that it can be easily sharpened or it should be able to hold an edge. 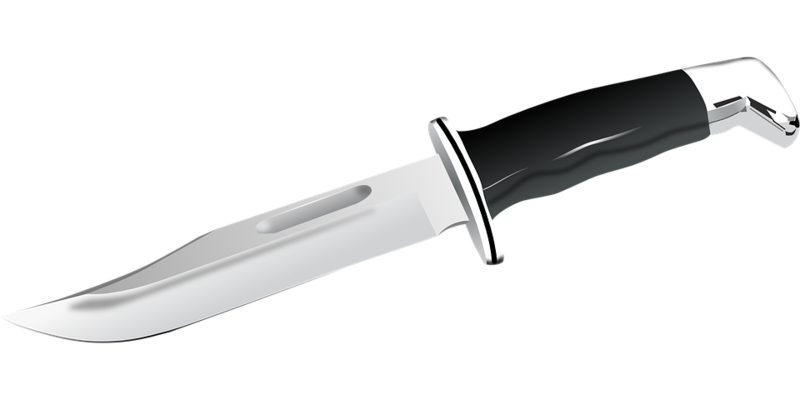 The knife should also fit perfectly in your hand to protect you from sudden injuries and you don’t need it to be bulky or huge like some kind of weapon. Buck’s 199 Special features a six-inch blade and has an overall length of 10 ½ inches. The steel of this hunting knife is a 420-HC steel that the company mostly uses for its knives; it may be an older type of steel but it still works excellently in this day and age. The 199 Special may also not be the hardest hunting knife available, but it adequately holds an edge and is easy to re-sharpen especially if you know what you’re doing. What’s great about the 199 Special from Buck is that its handle is made from Phenolic plastic which is hard and durable, and it is also made in the USA so you can expect that the knife comes out of the box with a razor-sharp edge. 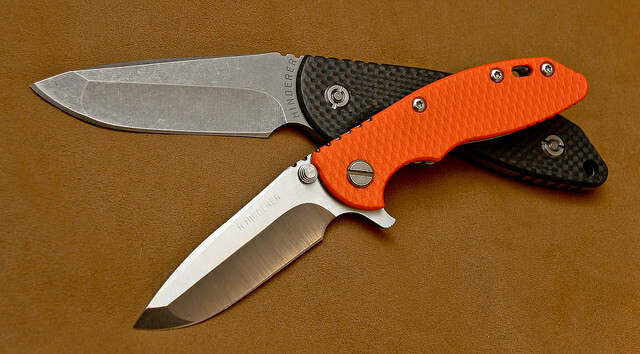 There are a ton of great knives for hunting, but the most unique one is from ESEE which is the LSP Laster Strike knife. It features a handle with Canvas Micarta which makes it different and highly innovative compared to the other hunting knives around. The overall length of the Laster Strike is ten inches, plus a 1095 carbon steel blade that measures almost at five inches long. Additionally, the knife also features a Kydex sheath with a sheath tensioner, an ambidextrous clip plate, and a paracord lanyard with a lock. 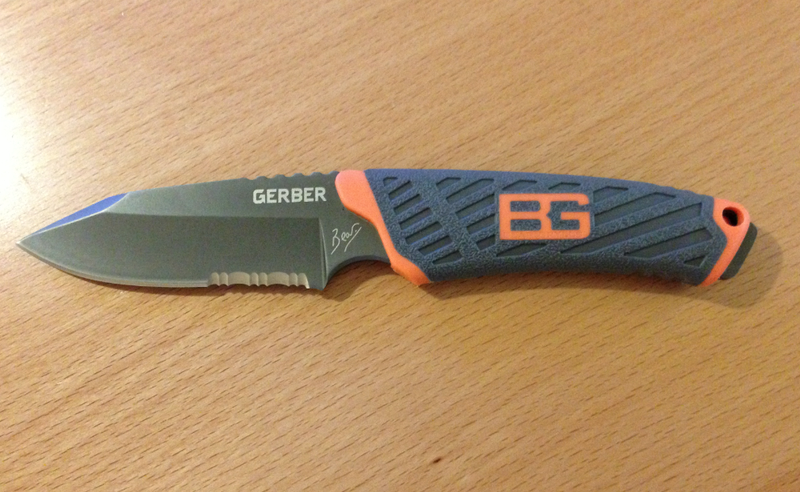 The Bear Grylls from Gerber is a heavy hunting knife but its grip fits perfectly once you hold it in your hand. It has a sheath with the traditional durable nylon plus a hard plastic that goes around the blade; it also features a Velcro strap to secure the knife in. With the Velcro, the knife can easily attach to your backpack or belt. The blade of this hunting knife measures about 4 ¾-inches long and is designed to withstand any type of cutting or slicing activity. However, compared to a lot of modern knives, the Bear Grylls has a high carbon content which makes it slightly softer, allowing you to sharpen in whenever necessary. The knife’s serration starts halfway towards the blade’s handle, allowing you for easier cutting action; the only thing is that it could interfere with slicing or carving cleanly. The 5.5-inch blade of the Becker BK2 Campanion from Ka-Bar is made of 1095 cro-van steel and has blade tops and a handle that tops at 10.5 inches in total. The knife’s blade has a 20° edge angle, drop point, and a highly-reviewed handle of Grivory material that has become quite a favorite in the market. The hunting knife does not really give a foolproof warranty but it does come with a limited lifetime warranty. It has a really thick blade that is quite surprising and it works excellently for hunting and long-term use. This is a very capable and effective hunting knife from Puma since it displays high-quality and sturdiness in one. The SGB Skinner Stag comes with stag scales for its design and is said to have been handmade by professional craftsmen to come up with this interesting design. The SGB Skinner Stag also includes a sheath made of high-grain leather that has been vegetable-tanned using an aniline finish that adds more appeal to the piece. Other distinguished features of this hunting knife from Puma are the stag handles, pins & brass finger guards, as well as the brass-lined lanyard holes that completes the whole set. Buck Knives have been a favorite among collectors and their 110-BRS Folding Hunter Knife is capable and durable which makes it the epitome of the most notable hunting knives in the market. The knife features a 3 3/4 –inch 420-HC steel chip blade that has a closed length of about 4 7/8 inches and it is also the lightest piece, weighing just 7.2 ounces. The handle of the 110-BRS is made from Dymondwood wood grains with polished bolsters and it also includes a quality-made leather sheath to further protect the knife. Another great thing about the knife is that Buck included their unconditional warranty that is foolproof and is an easy warranty to take advantage of. The Mini Tac Skinner knife from Cold Steel is an adequately-sized blade and just as its name implies, the Mini Tac is highly tactical and can be utilized for numerous tasks and situations. The hunting knife also features outer shears so you can readily wear the hunting knife on your clothes, making it easier for anyone to skin their game while in the wild. The Skinner Hunting Knife from Lone Wolf is a bit on the pricier side compared to other hunting knives in the market, but this is due to its polished look, high-end finish, and the high-quality materials utilized to create the knife. 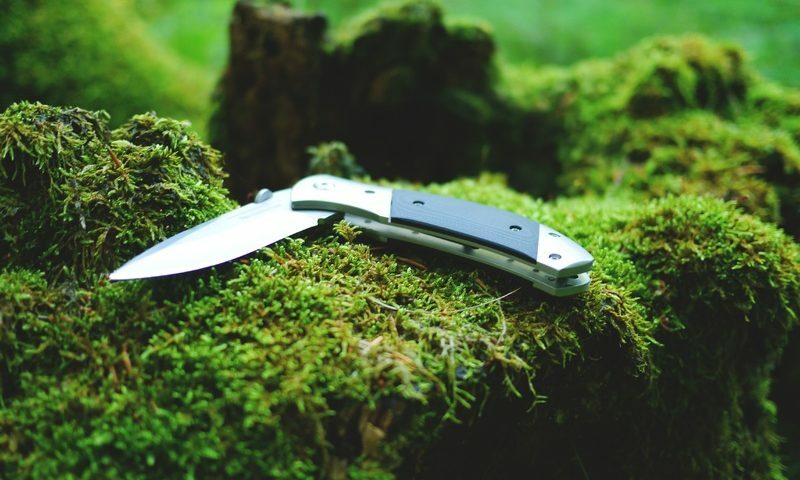 The hunting knife features a lock mechanism that will surely be something that hunters will greatly appreciate: it isn’t only an excellent safety feature for preventing injuries, but it is also something that guides and prevents you from under or over-cutting when doing various outdoor activities. The presence of this mechanism is also one easy way to make sure that your skinning knife won’t get jammed when pulling out the blade quickly is necessary. The NL4 from Fallkniven is probably one of the most costly hunting knives on our list but it is definitely one knife that is worth the price. It features a fixed plain-edged blade that has a drop point, and the blade has been laminated with VG-10 steel for more efficiency. A notable feature of the knife is its brown handle made of leather which does not skimp with quality or feel; this quality craftsmanship can also be found in the leather sheath that comes with the hunting knife. It weighs around 6.7 ounces and does not sacrifice any of its long-term efficiency and durability. Quite interestingly, the SZP1 Swing Blade from Outdoor Edge features a really bright handle so you won’t ever lose this knife while outdoors. It features an AUS 8 stainless-steel blade that is razor sharp, and won’t dull easily; plus, it also has a cutting edge that has a dual-purpose function foroutdoor use. Additionally, it also has a durable and efficient nylon sheath that lets you pull the hunting knife easily. Outdoor Edge included an additional bonus which is their warranty for defects – a highly advantageous extra so people can ensure that they are covered if their SZP1 fails when it comes to its design / style or intended outdoor use.